How can you run a successful fundraising auction? 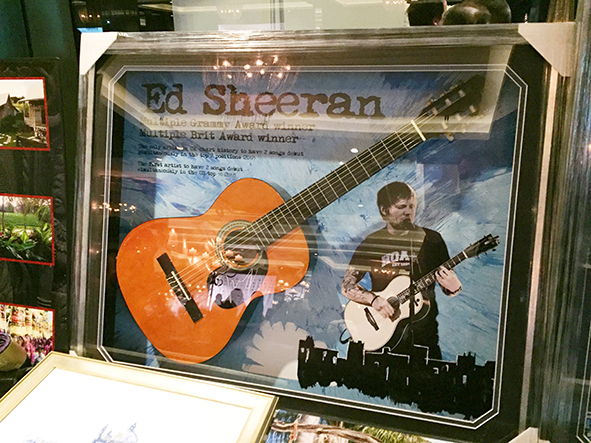 A successful fundraising auction starts with one-of-a-kind auction items that spark the interest of your guests. 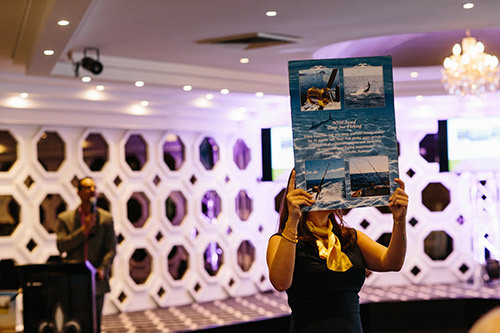 We have a wide range of auction items for fundraisers that span various sports, arts, culture, entertainment, vacation destination, and experience themes that set your live or silent auction up for big success. Grabbing your guests’ interest will encourage them to bid higher and that means more funds raised for your cause! Do you have a unique fundraising event theme? We may have some perfect auction items to compliment it! Whether your fundraising event is musical, sports, or entertainment themed, enquire with our team to learn about how our silent auction items can perfectly match your event. Contact Us for a full list of our available items. 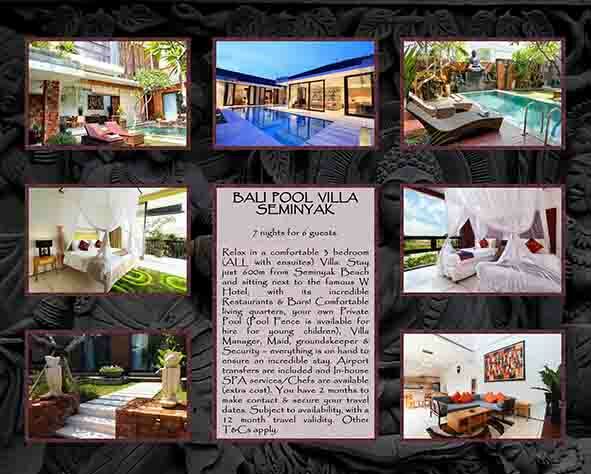 A week in one of Phuket’s most serene, luxurious and well located villas! Five extra-large bedrooms with luxury ensuite bathrooms (finished in natural stone and marble) all within minutes to magnificent West Coast Beaches! The Villa has a complete staff of housekeepers, garden/pool attendant, security guards and the manager/concierge, and features oversized private pool and outdoor areas to relax. Supplied with return transfers to Phuket International Airport. Hunter Valley Wine Country Cabins are set on 60,000sqm of natural beauty, with gorgeous views overlooking its park-like grounds, neighbouring vineyards and an Outdoor Swimming Pool. The lodge-style accommodation has fully renovated rooms, each offering an en suite, air-conditioning and a spectacular view. Your auction winner will be able to explore Australia’s oldest wine region of Hunter Valley and the surrounding bushland, take a wine tour, play some golf, enjoy hot air ballooning – it’s all here, or do nothing but relax! The English singer/songwriter and perhaps the biggest music star on Earth at the moment. With hits like ‘Shape of You’ and ‘Castle on the Hill’ at the top of the charts, Ed can simply do no wrong! Enjoy the luxury of a fine restaurant in the privacy and comfort of your own home. 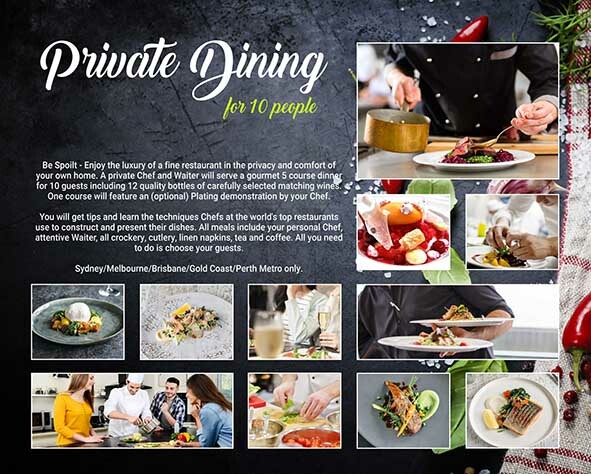 A private Chef and Waiter will serve a gourmet 5 course dinner for 10 guests including 12 quality bottles of carefully selected matching wines. One course will feature an (optional) plating demonstration by your Chef. You will get tips and learn the techniques Chefs at the world’s top restaurants use to construct and present their dishes. All meals include your personal Chef, attentive waiter, all crockery, cutlery, linen napkins, tea and coffee. All you need to do is choose your guests. *Note: We have various packages available depending on your location – enquire with our team to find out the package available in your area! Located on the edge of the pristine waters of Lake Wakatipu, holiday in a beautiful 3-level Lux Villa: 3 bedrooms with 2 bathrooms, tennis court, private Jetty on Lake Wakatipu and superb location just 5mins from town. Long summer days with sunsets as late as 10pm, invite you to enjoy this natural playground. Majestic, snowcapped mountains in winter, the perfect winter holiday destination. Enjoy the best views NZ can offer and experience a world of activity all year round. Including complete Concierge services to book your Adventures, incl. Jet-Boating, Golf, Skiing (in winter), Rafting, Wine Tours, Fishing, Luge – do it all, or do nothing but relax! *Note: We have various packages available. Enquire for more details. Established by acclaimed TV Chefs Luke Nguyen and Mark Jensen, your auction winner will host a party of 8 to enjoy the opulence of the private dining room, whilst being served a gourmet four course dinner, cooked for you by Mark Jensen along with carefully selected matching wines! To top off this incredible experience, each couple will receive a signed Luke Nguyen Cookbook as a valued memento. All they will need to do is choose their seven guests! 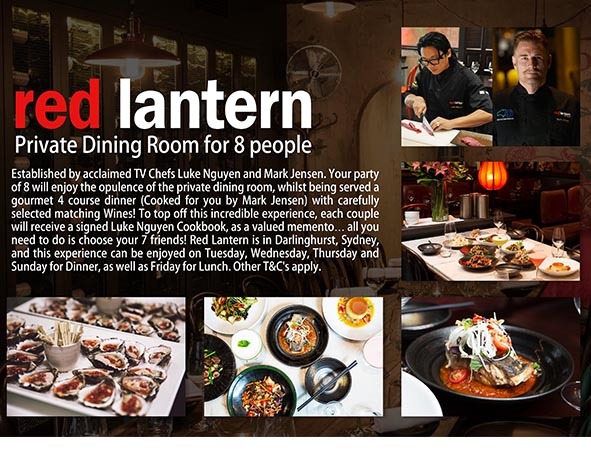 Red Lantern is in Darlinghurst, Sydney, and this experience can be enjoyed on Tuesday, Wednesday, Thursday and Sunday for Dinner, as well as Friday for Lunch. Other T&C’s apply. Seven nights at the incomparable Sanctuary Port Douglas, Queensland! Your auction winner will enjoy better than 5-star luxury, featuring three full bedroom suites and your own private plunge pool. A private golf buggy (only to be used within the Sanctuary facilities) is provided for your entire stay. They will enjoy the wonders of Australia’s Great Barrier Reef and Tropical Rain forest on their doorstep! 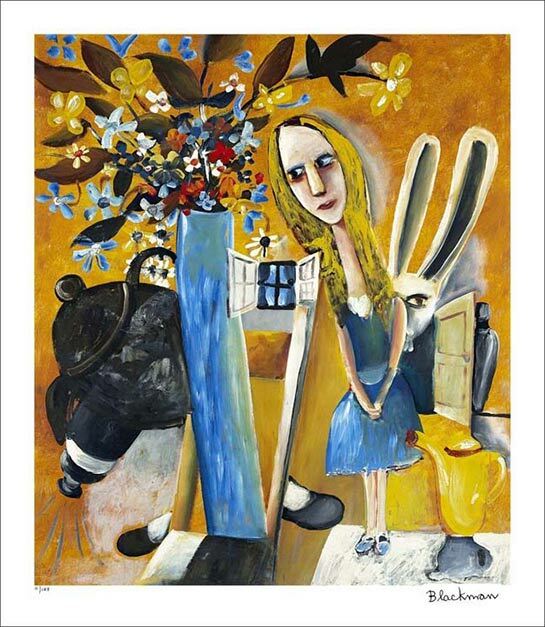 Signed and framed large ‘Alice in Wonderland’ archival pigment print. Part of a sold out edition of only 125 and featuring the embossed seal of the artist. A rare and beautiful item, featuring the signature of one of Australia’s greatest artists! 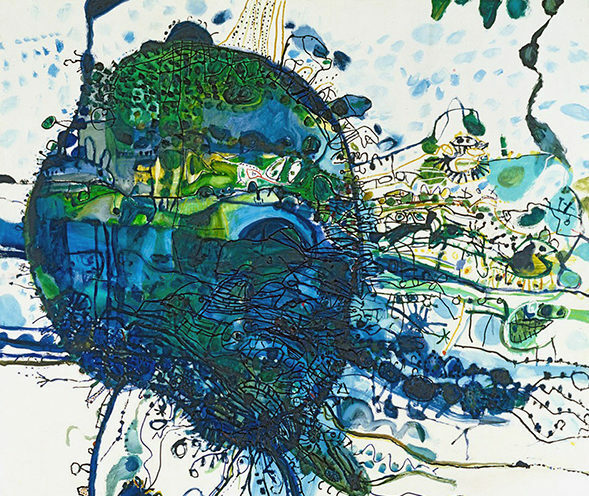 The 1963 original is an example of Olsen’s lifelong fascination with Sydney Harbour. Certain to add a touch of class to any home or office, hanging a reproduction of Australia’s greatest-living Artist! services/Chefs are also available (at an extra cost). Too many inclusions to list! Start with a fully-inclusive VIP Lunch to remember on a 140-foot Superyacht on Monaco Harbour (Friday), incl. the finest of Scottish Whiskies & Gins, as well as French Champagne! 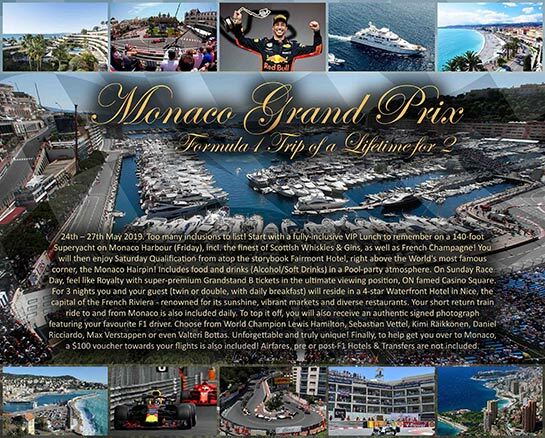 You will then enjoy Saturday Qualification from atop the storybook Fairmont Hotel, right above the world’s most famous corner, the Monaco Hairpin! Includes food and drinks (alcohol/soft Drinks) in a pool-party atmosphere. On Sunday Race Day, feel like royalty with super-premium Grandstand B tickets in the ultimate viewing position, on famed Casino Square! For 3 nights, you and your guest (twin or double, with daily breakfast) will reside in a 4-star Waterfront Hotel in Nice, the capital of the French Riviera – renowned for its sunshine, vibrant markets and diverse restaurants. Your short return train ride to and from Monaco is also included daily. To top it off, you will also receive an authentic signed photograph featuring your favourite F1 driver. Choose from World Champion Lewis Hamilton, Sebastian Vettel, Kimi Räikkönen, Daniel Ricciardo, Max Verstappen or even Valteri Bottas. Unforgettable and truly unique! Finally, to help get you over to Monaco, a $100 voucher towards your flights is also included! Other T&C’s apply. We have many, many more auction items available for fundraisers! Contact our team to discuss more holiday, experience, and memorabilia options that would suit your next event. We provide live and silent auction items on a consignment-type basis. That means you can run a successful fundraising auction with the best auction items without any extra costs added to your event budget!